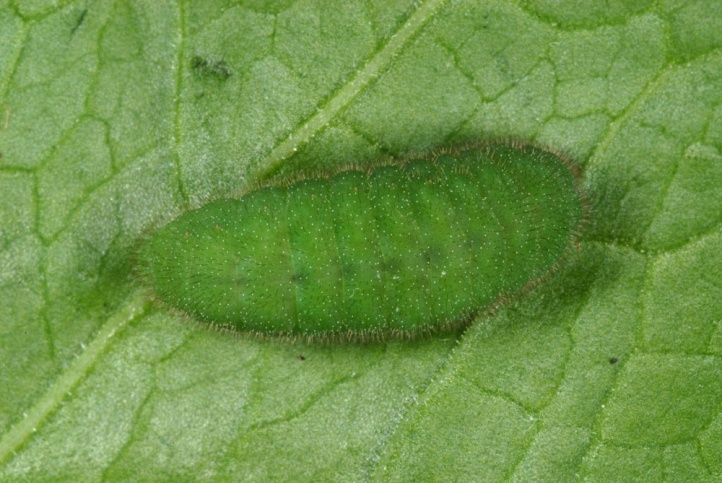 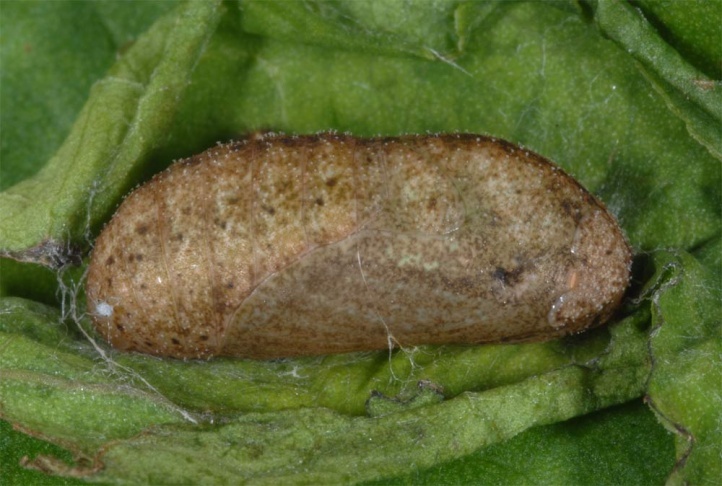 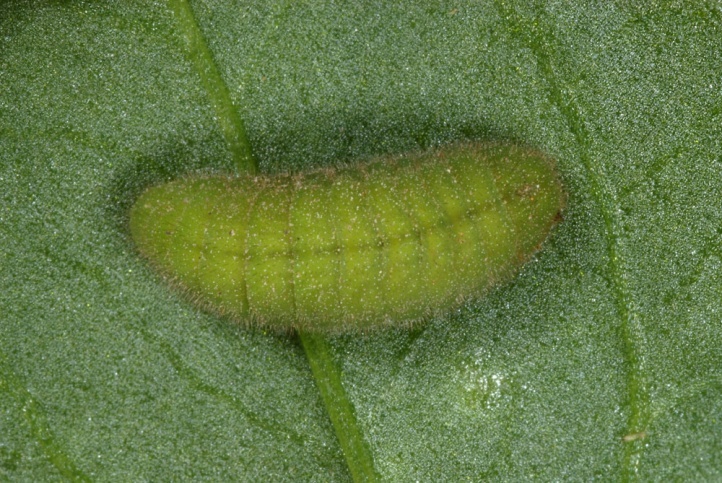 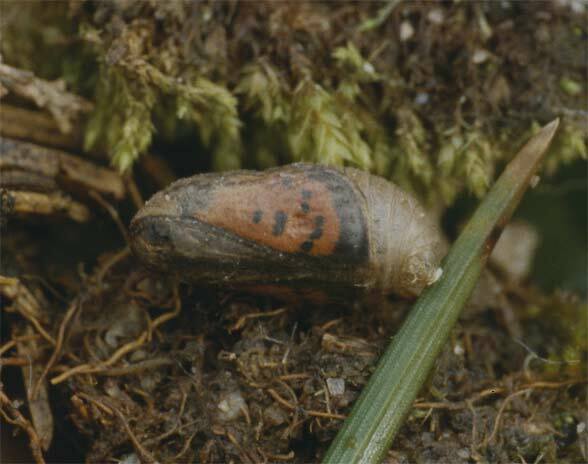 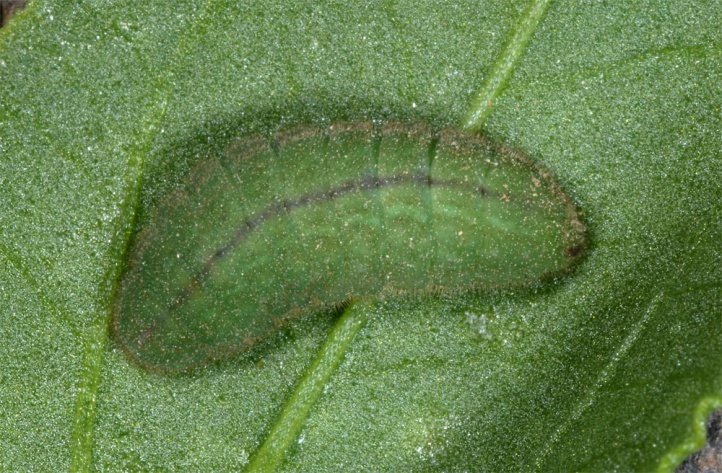 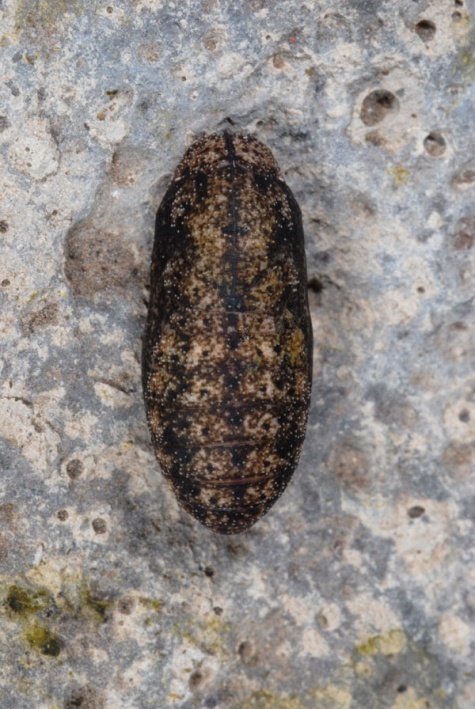 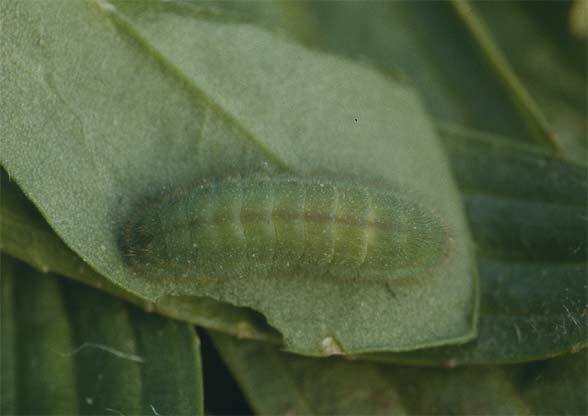 The larva feeds on Rumex species, especially Rumex acetosella, but also Rumex scutatus, R. acetosa and others. 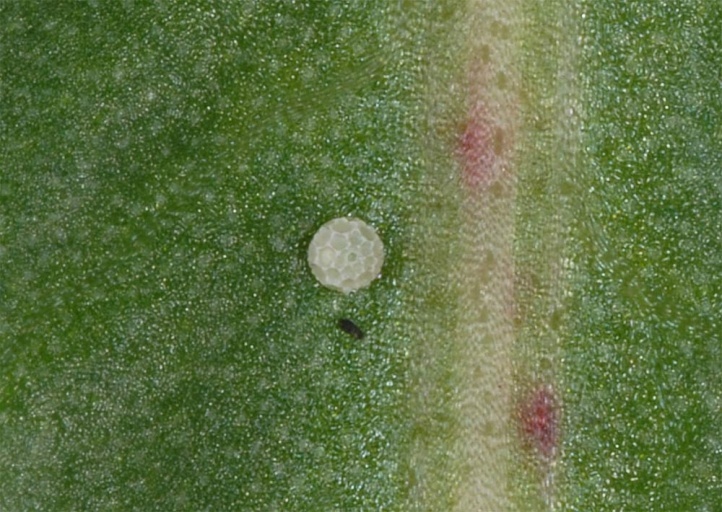 Not infrequently they are also observed on non-acidic Rumex species such as Rumex crispus and R. obtusifolius. 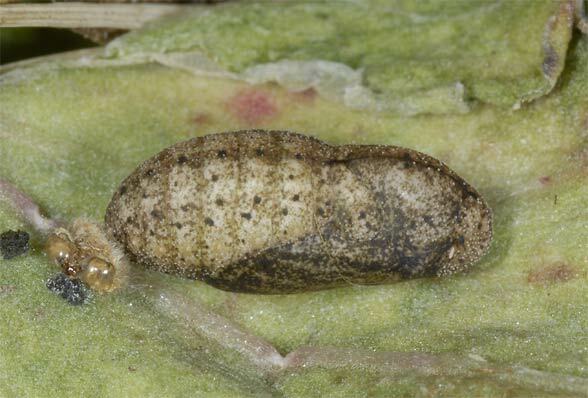 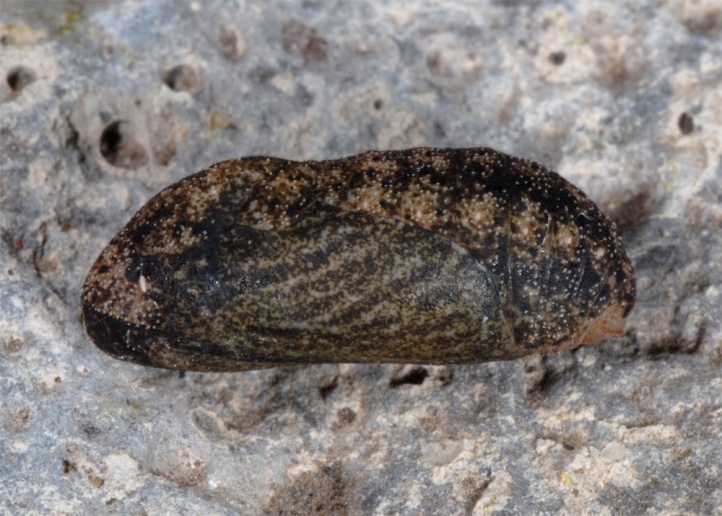 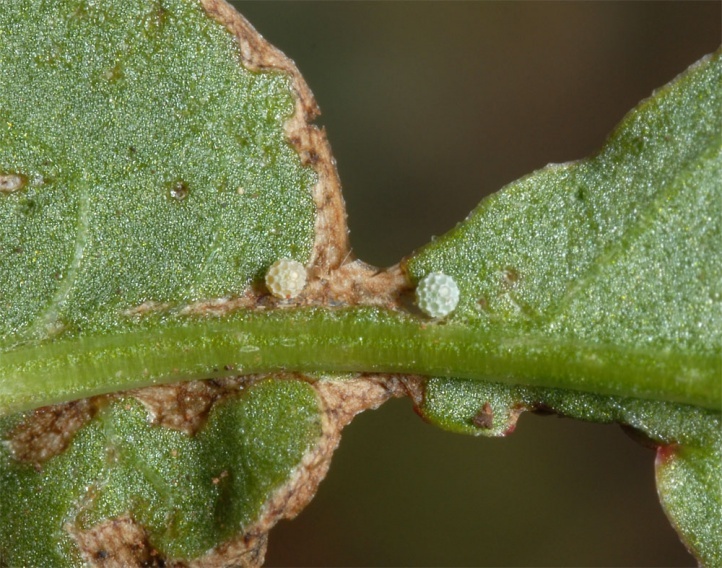 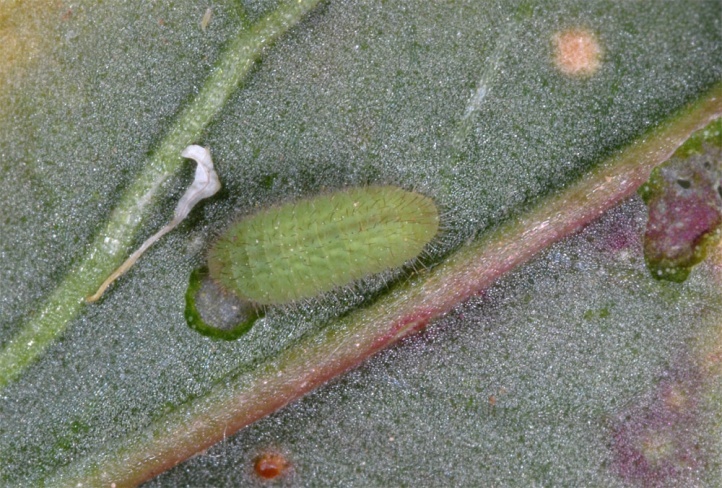 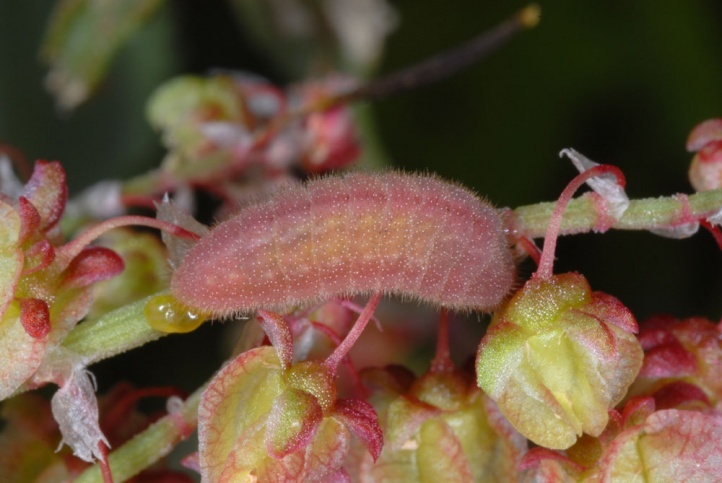 In the Canaries, the main host plant is often Rumex vesicarius, but the larva can be also observed on other Rumex species, but rarely on Rumex lunaria. 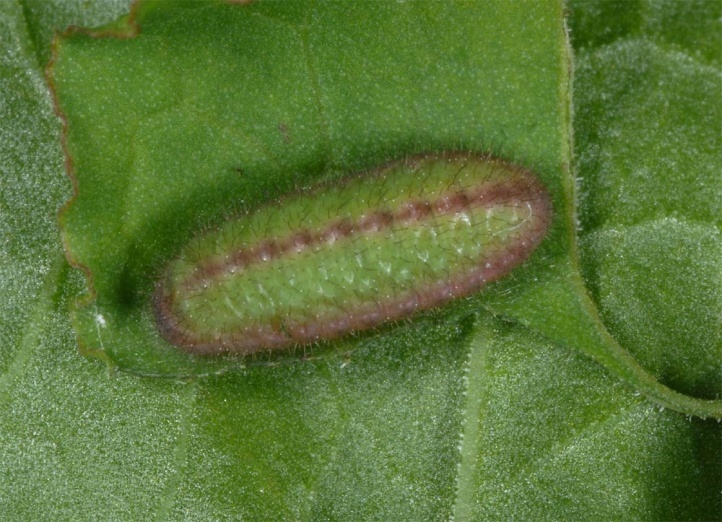 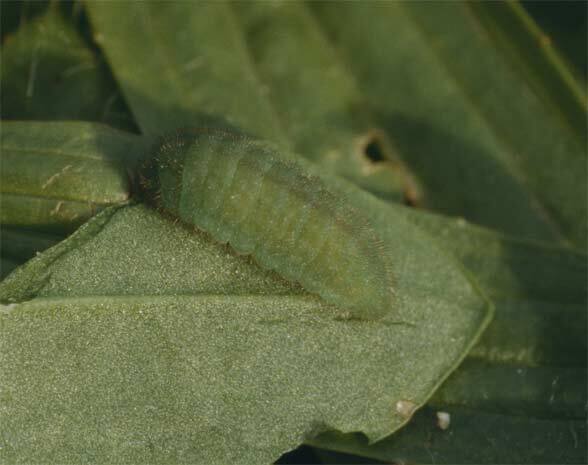 I observed larvae on Rumex maderensis on Madeira. 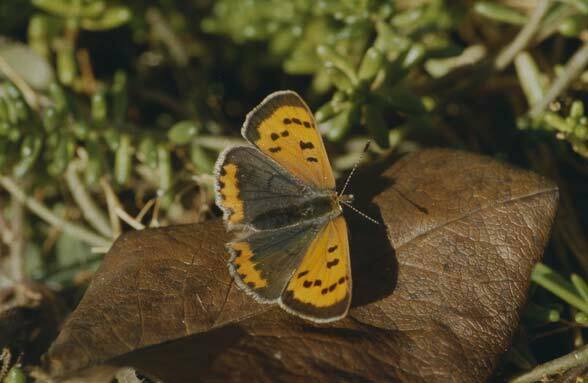 Lycaena phlaeas inhabits open land of all kinds and is very widespread. 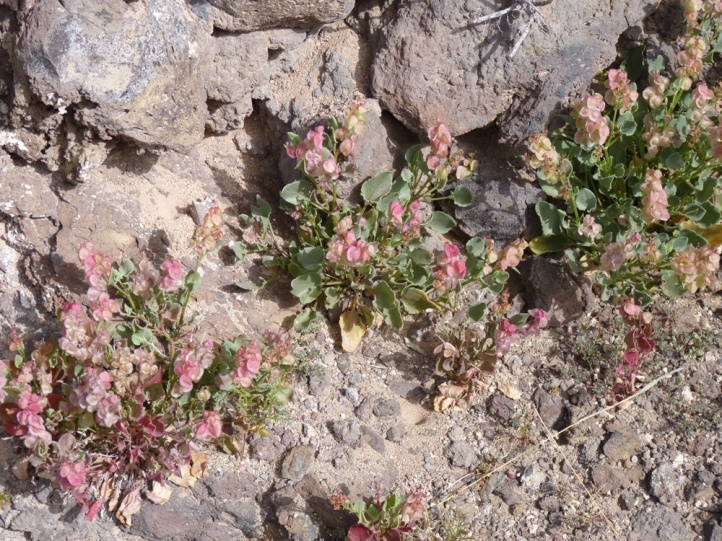 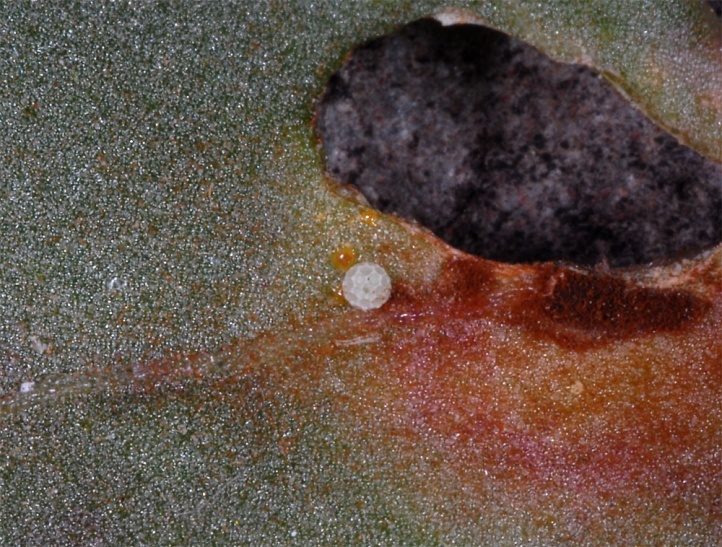 It is especially common in acid sandy heaths with Rumex acetosella. 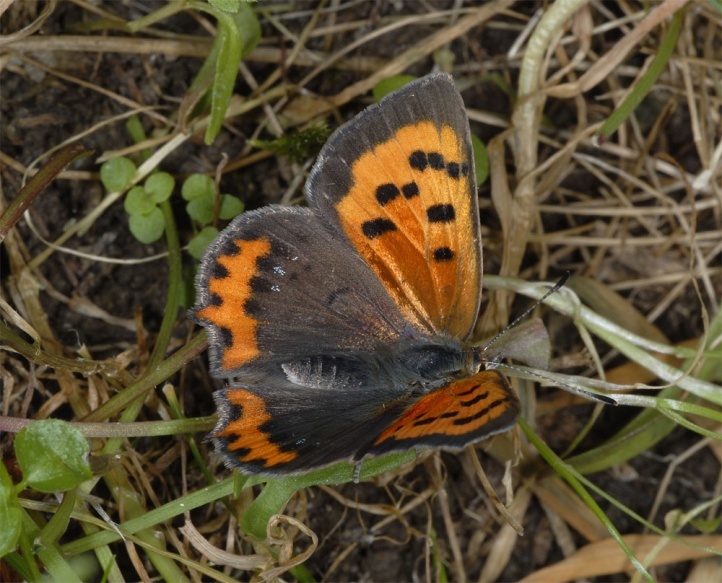 Nowadays, Lycaena phlaeas is regionally pushed back to meager, extensively managed, small habitats and is only a migrant/vagrant in intensive manure fields. 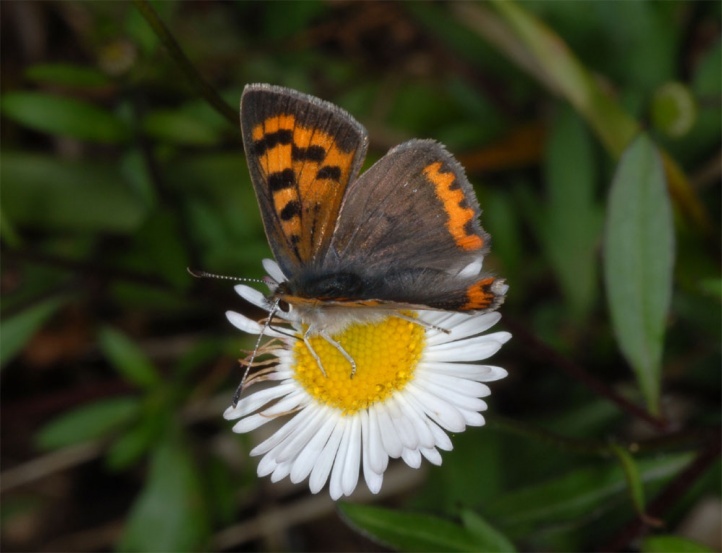 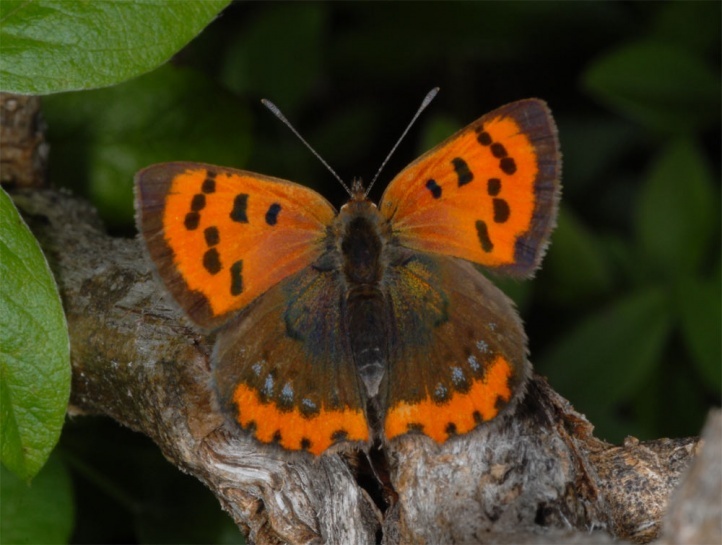 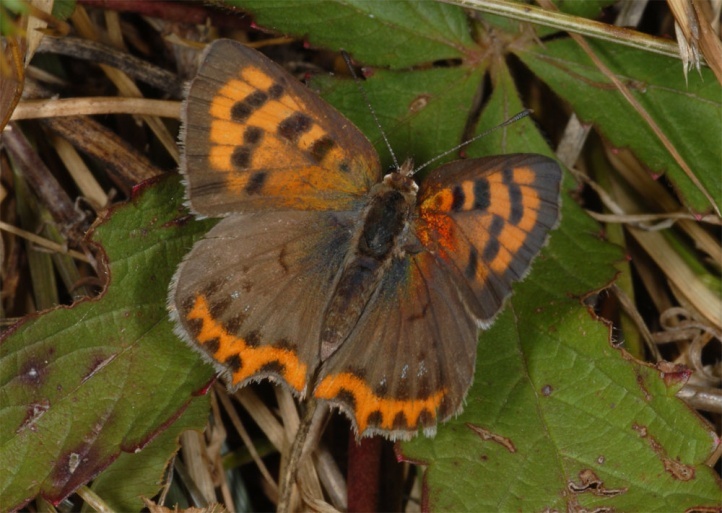 Lycaena phlaeas flies in several generations per year (2-4) and can be found from April to October, rarely also later (November). 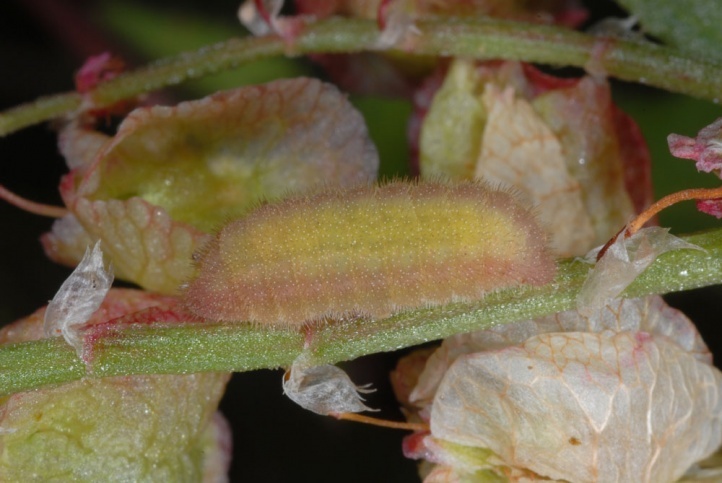 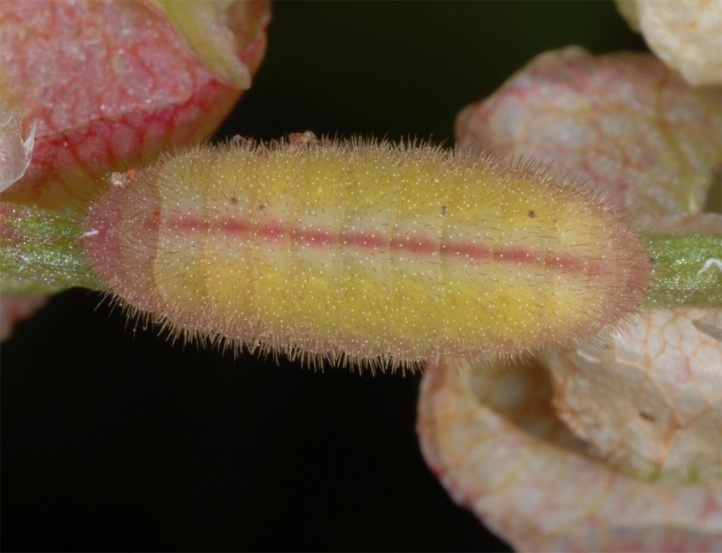 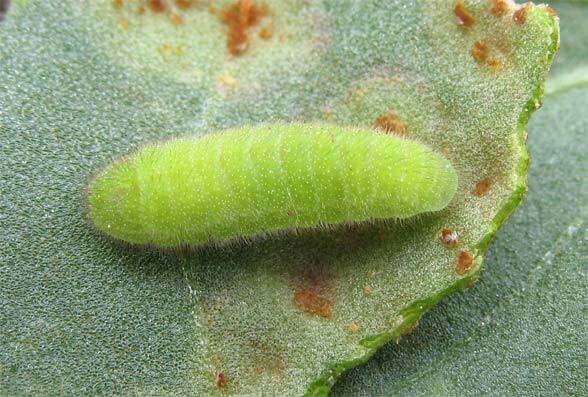 The half-grown caterpillar overwinters. 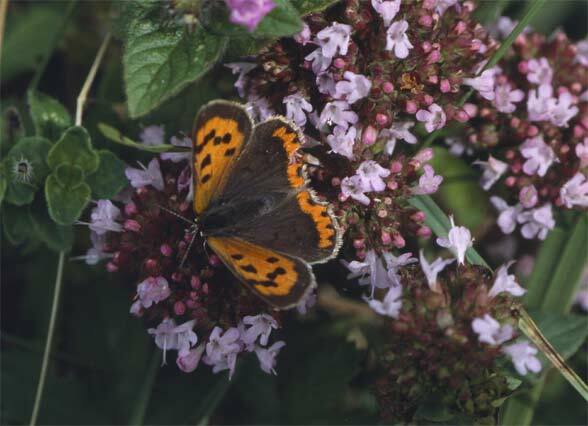 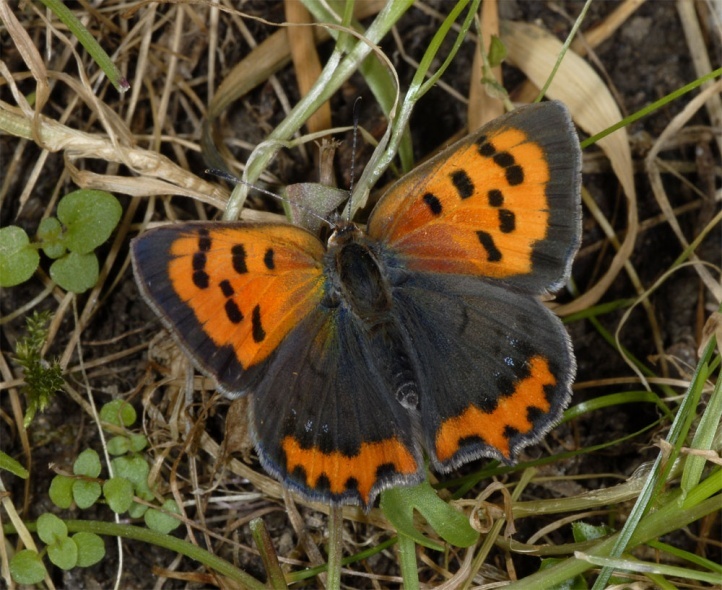 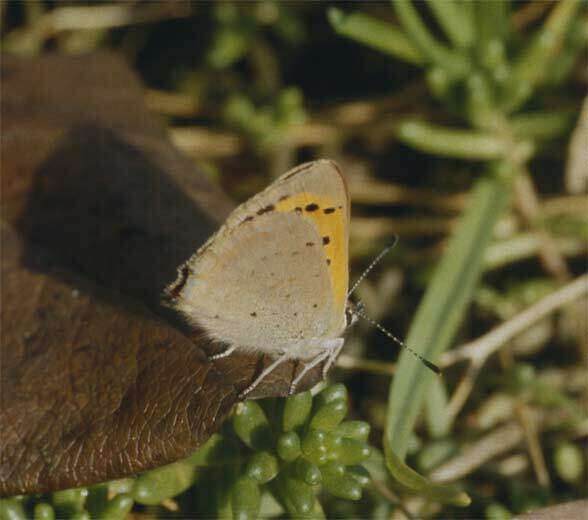 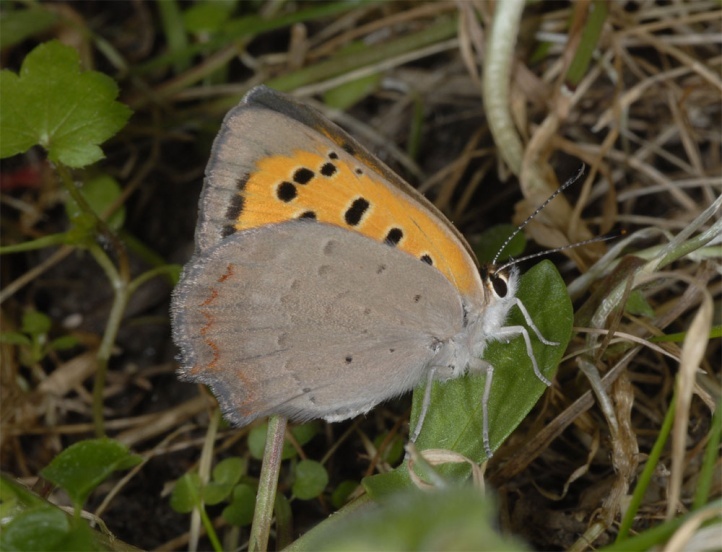 Overall, Lycaena phlaeas can be described as not endangered, though the number of individuals has decreased because of agricultural intensification. 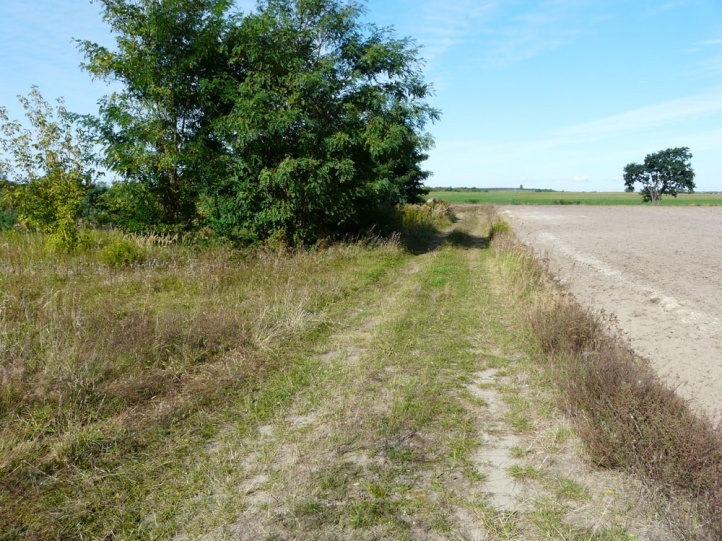 In suitable habitats, such as locally dried-up areas in the Donaumoos (a fen in Southern Germany), it is still quite common. 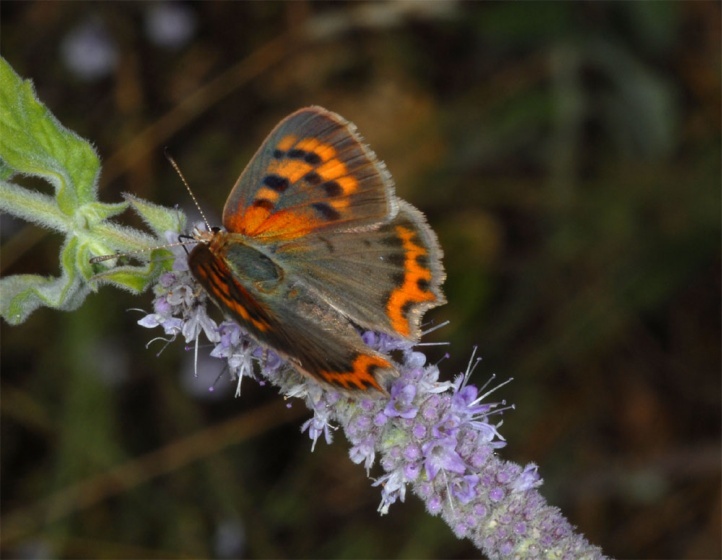 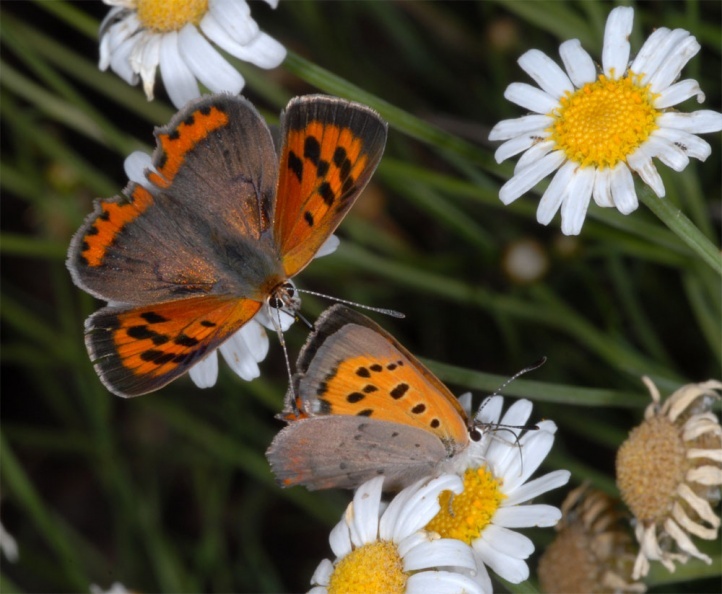 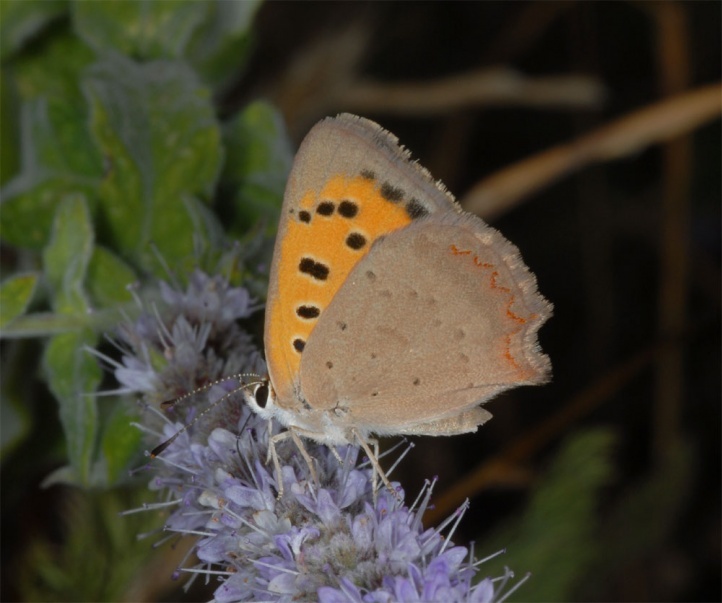 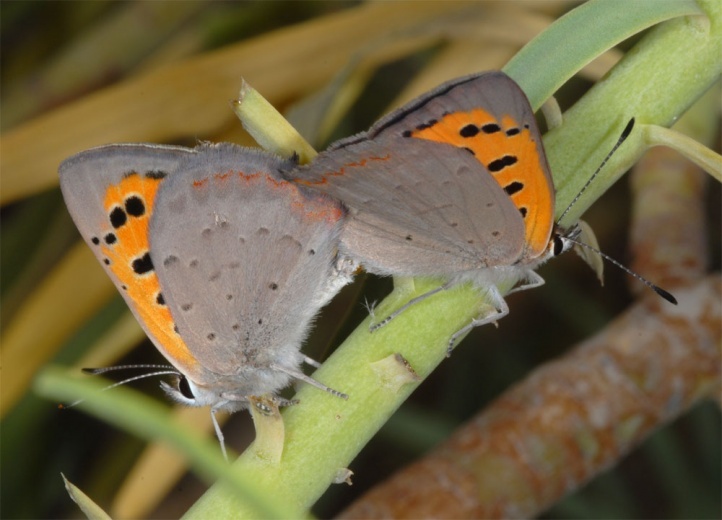 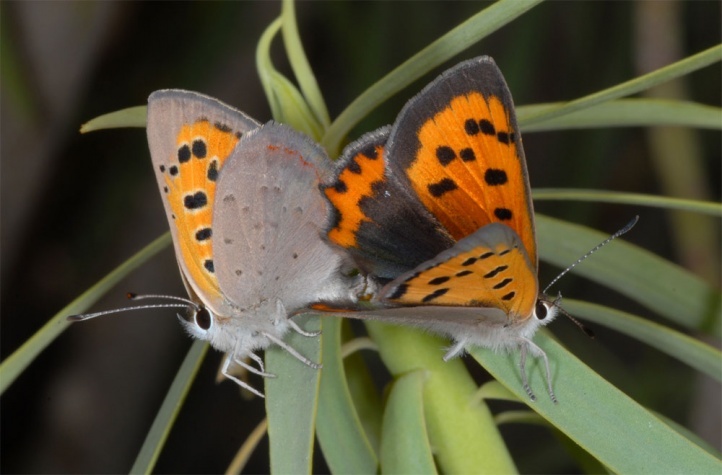 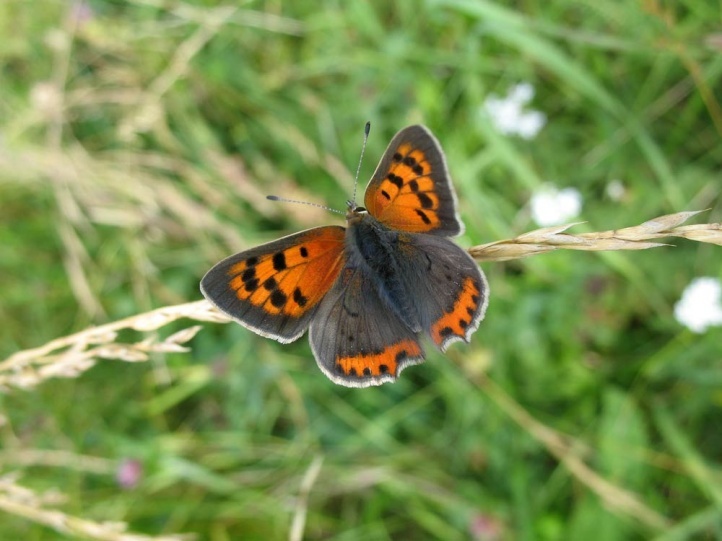 Lycaena phlaeas also benefits from global warming. 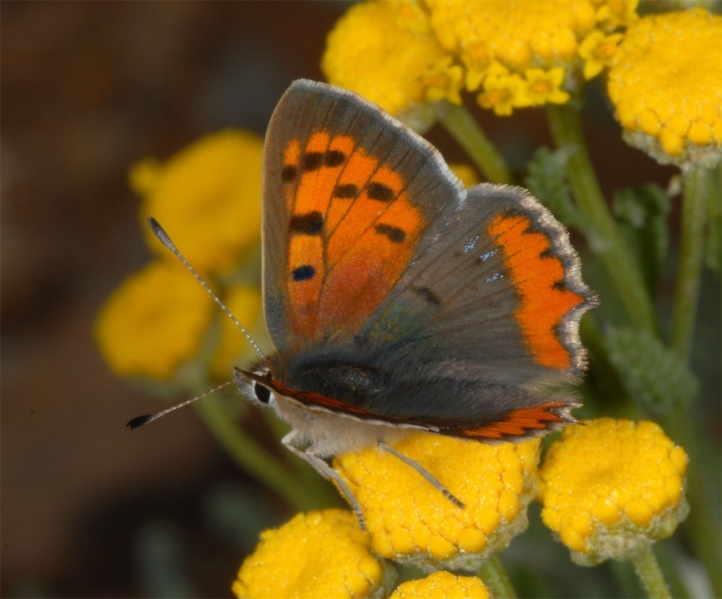 The total distribution is Holarctic: Canary Islands, Madeira, North Africa, Europe, temperate Asia and parts of North America.